Bring Salt-Free Flavor to Any Dish! Mrs. 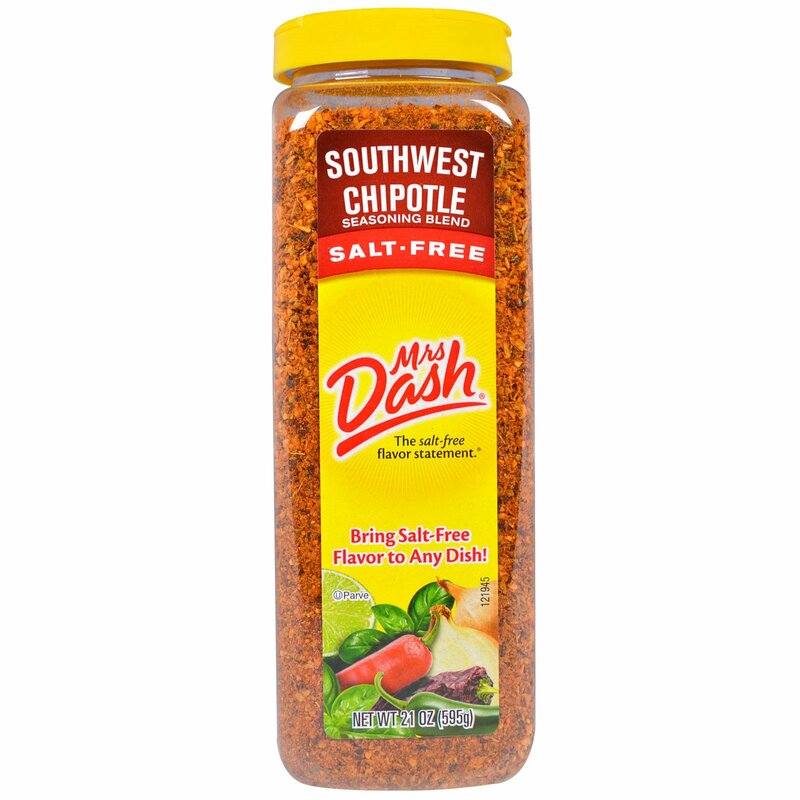 Dash Southwest Chipotle: It is hard to contain the flavor that comes in a bottle of Mrs. 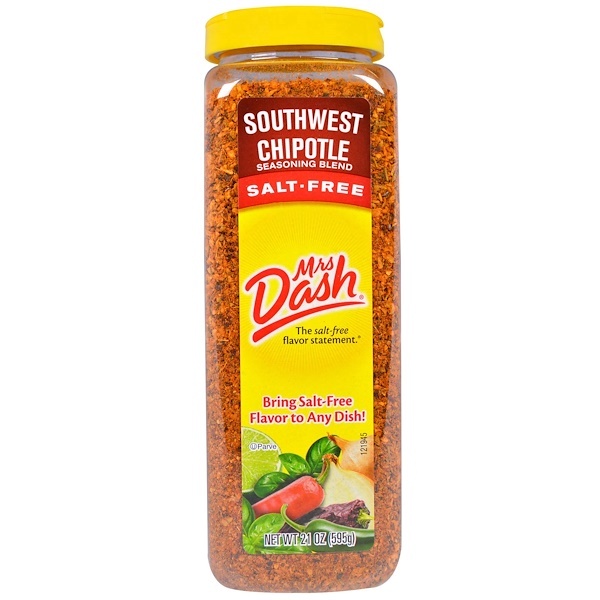 Dash Southwest Chipotle Seasoning Blend. It bursts from the first bite. Heighten your senses with a blend that exudes smoky taste, kick of peppers, and a touch of heat. Bring your family on a trip south of the border. Rub or 1 tsp. into each portion of your favorite chicken, fish, or ground beef before or during cooking. 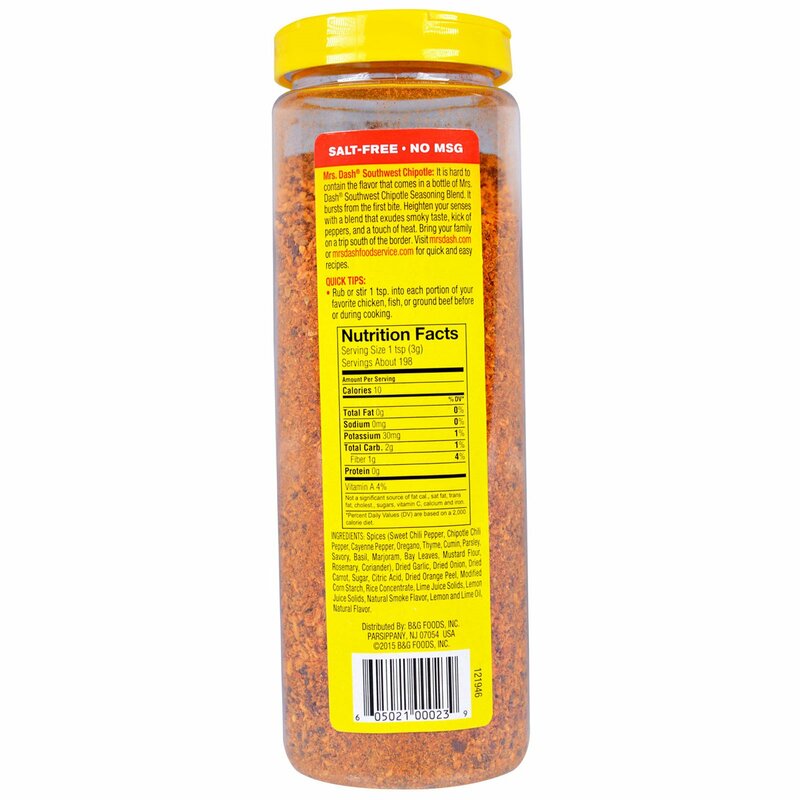 Spices (sweet chili pepper, chipotle chili pepper, cayenne pepper, oregano, thyme, cumin, parsley, savory, basil, marjoram, bay leaves, mustard flour, rosemary coriander), dried garlic, dried onion, dried carrot, sugar, citric acid, dried orange peel, modified corn starch, rice concentrate, lime juice solids, lemon juice solids, natural smoke flavor, lemon and lime oil, natural flavor. Not a significant source of fat cal, sat fat, trans fat, cholesterol, sugars, vitamin C, calcium and iron.